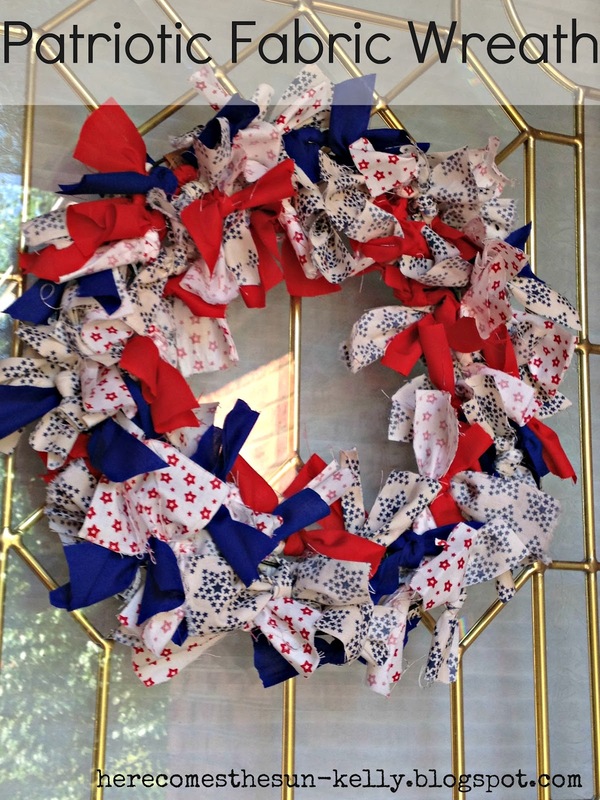 Do you need a last minute July 4th decor idea? This is super simple and pretty quick to make. I made it in one night. 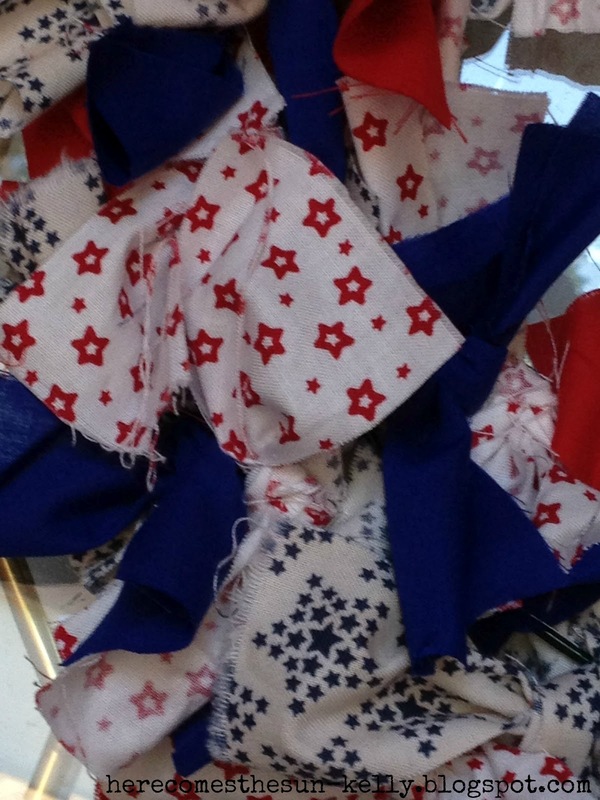 Cut strips of fabric 2 inches wide and approximately 16 inches long. Cut LOTS and LOTS of strips. You could use scissors but it is easier and quicker to do with a rotary cutter and board. 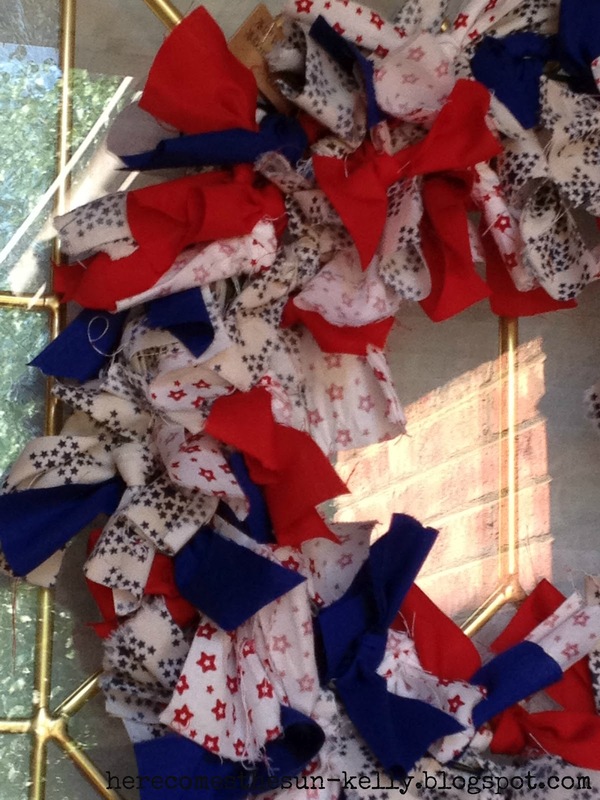 Double knot your fabric around the wreath form, one strip at a time. 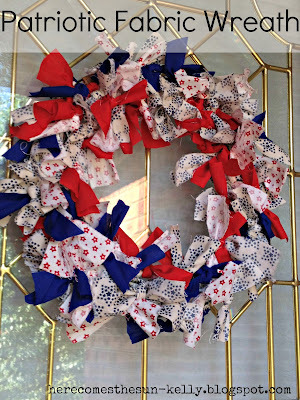 Scrunch your fabric together until you fill the entire wreath. 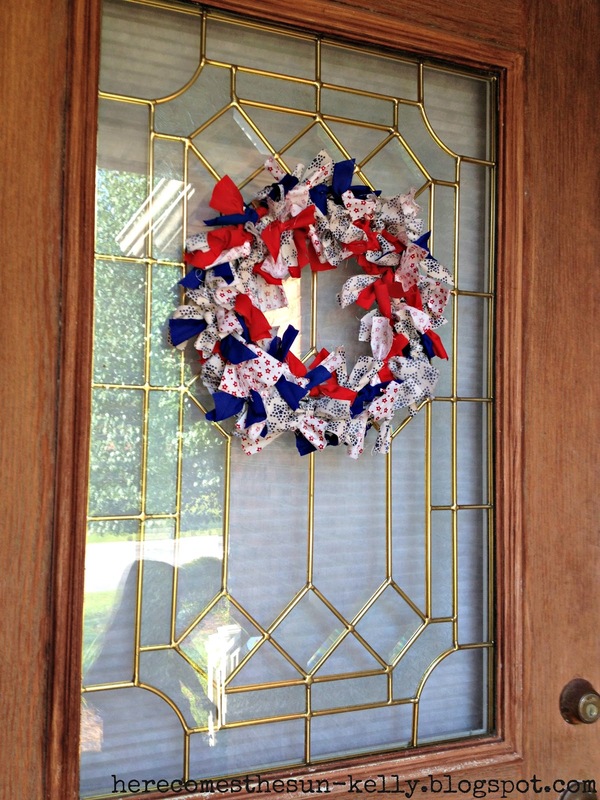 Since it is not very heavy, I hung it on my front door with a 3M picture hanger.